G-cluster's Cloud Game Console: Should Microsoft and Sony Worry? Yes! Broadband @ Home » Broadband News » G-cluster’s Cloud Game Console: Should Microsoft and Sony Worry? G-cluster is the cloud game console, but don’t be fooled by the name — there isn’t actually a console. The device simply plugs into a TV or mobile device and allows the user to play major games from large studios (“AAA games”) directly from the cloud. G-cluster has had success in Europe and Asia and now has its sights set on North America. G-cluster has been around since 2000. It is the first and premier cloud gaming company. G-cluster’s main customers are the cable companies, not the game players. Broadband companies can pay for the service and offer it as a bonus (or charge a fee) to their customers. G-cluster reports the advantages to broadband companies are increases in revenue streams, revenue per user, and customer satisfaction; a reason to sell high bandwidth; and minimal costs for setup and operation. 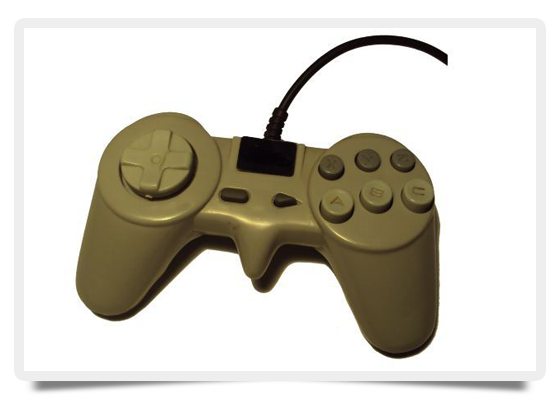 The device plugs into the HDMI port of the TV, and a game controller can plug into the device. However, a controller is not needed to play: Users can also play using their smartphones or tablets as the controller. Several major software companies are jumping on the G-cluster cloud service. Ubisoft (creator of Assassin’s Creed and Splinter Cell), Disney, and several other companies have been with them for a little while. Recently, G-cluster teamed up with Electronic Arts, the creators of Ultima, the Mass Effect series, and several Star Wars titles, promising upcoming high-end video games. This all sounds impressive and may or may not prove to be a threat for the Xbox, PlayStation, and Nintendo consoles. The plans G-cluster has for the very near future include enabling players to play on their TVs, smartphones, PCs, or tablets. G-cluster envisions a scenario similar to the following: A child is playing his game on the TV. Dad says it’s time to go. The child pauses the game and gets in the car. He grabs a tablet, accesses the cloud, and resumes his game where he left off. Console manufacturers may not be scared yet, but they should be watching G-cluster. Soon the company may be producing games as good as, if not better than, the console manufacturers. Consumers will have a monthly fee and possibly a small equipment charge or rental fee, but compared to the base price of a console, it’ll be virtually nothing. The cloud game console is here, and it may be the future of gaming (remember: without a robust broadband connection the cloud is useless, so use an internet speed test before any big purchase).